When it comes to the best of historical but quaint Malaysian locations, Mukah is the perfect representation of the off-the-beaten-track, charming destination. It is best known as a small fishing port located at the opening of the Mukah River, just adjacent to the beautiful South China Sea. Historically speaking, it was originally a part of the Sultanate of Brunei as an outpost, but it officially became a bona fide part of Sarawek in 1861. 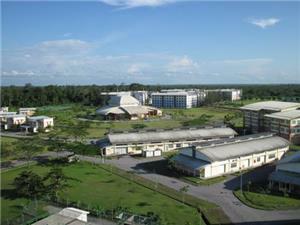 It is currently the main administrative center of the Mukah District on the whole. Today, Mukah’s claim to fame as a place of interest to tourists is as the epicenter of local Melanau culture. It is home to the Melanau Culture Center, as well as the beautiful Lamin Dana Water Village. Enthusiasts of Malaysian culture make it a point not to miss the Pesta Kaul Festival, one of the most important events of the Melanau year. The festival was original started by indigenous fisherman as a way to appease the spirits of the local waters and remains a must-see in the eyes of not only locals, but visitors to the area looking to fully absorb the spirit of the area. When visiting areas like Malaysia and looking to retreat from the beaten track in order to experience charming, out of the way places like Mukah, bus travel represents a smart option any way you slice it. Bus travel to Mukah is first of all convenient, as even the locals rely on the bus to get around and go about their business. It’s incredibly affordable as well as eco-friendly, so travel by bus to Mukah is the perfect pick for both travelers on a tight, shoestring budget and environmentally conscious tourists alike. 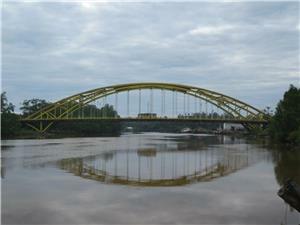 Look into your options today and see Malaysian treasures like Mukah for less! For more information about Bus to Mukah, check out details from us today!